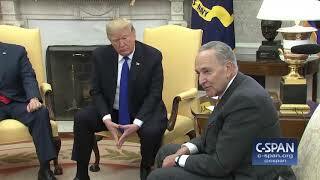 A Parody Recap of yesterday's Oval Office meeting on Border Security courtesy of @TheUnitedSpot. 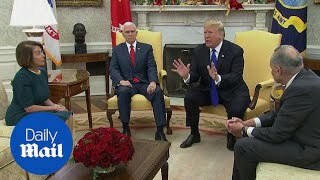 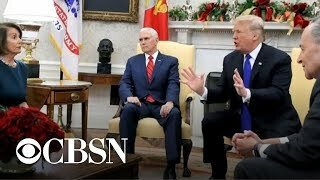 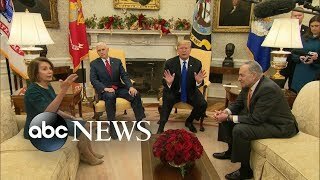 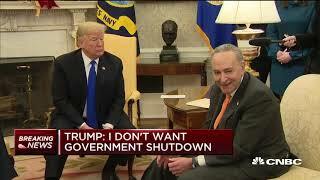 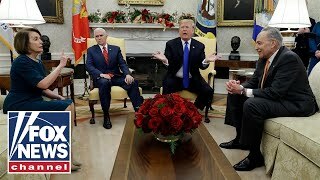 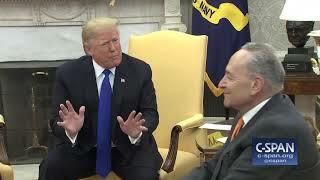 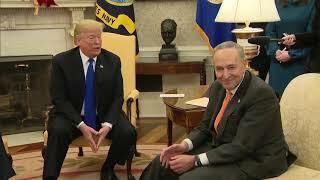 Trump's extraordinary clash with Pelosi and Schumer in full! 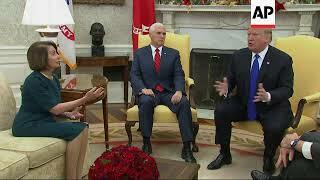 Following an angry Oval Office throw down, House Minority Leader Nancy Pelosi said she urged President Trump to pray over the Democrats' latest offer. 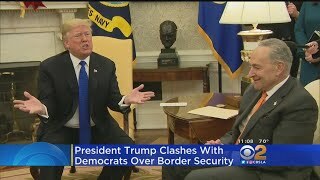 A White House meeting spiraled out of control over funding the border wall Tuesday. 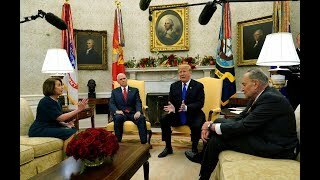 Exchange between President Trump, House Democratic Leader Nancy Pelosi & Senate Democratic Schumer on border security and government shutdown.